The fourth revolution has begun, unfortunately, only 20 million people out of the 7.7 billion walking the face of the earth are aware of this. The first revolution marked a turning point for economic growth with machines replacing manual labour and greatly enhancing productivity. The second revolution further enhanced productivity through the development of inter-combustion engines and other mass production systems. The third revolution ushered in an age of “quality-of-life” enhancements through simultaneous breakthroughs in computing, bioengineering, nuclear and space technology. However, the potentials of these revolutions remain gated behind a centralized, top-down, pyramid structure. Over the years, this structure has gotten complicated and bloated, clogged by redundancies and intermediaries that have lead to nothing but backlogs and an inefficient system. The fourth revolution is here to fix that. Blockchain technology, a distributed and disintermediated medium of exchange, is championing the decentralization of information and power, placing it in the hand of the user. Its disintermediating of services and peer-to-peer exchanges of values is proving to be the tonic for remedying the centralized problems plaguing humanity. However, deploying solutions on this technology has proven to be the privilege of a selected few. 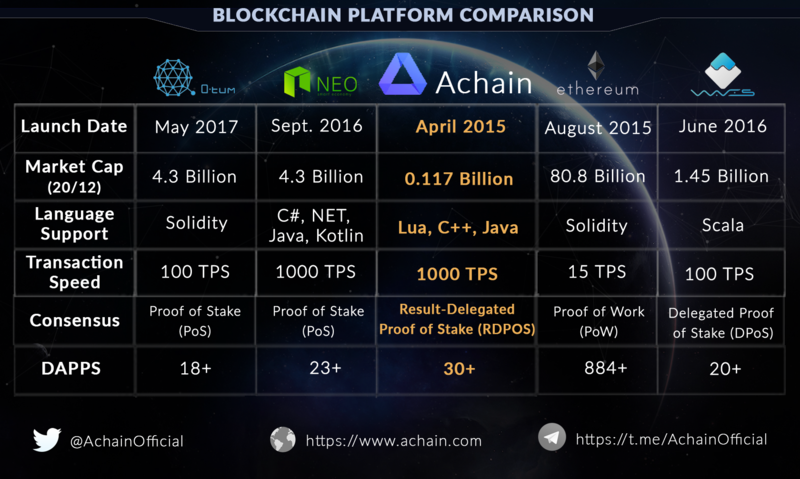 Launched April, 2015, Achain is a public blockchain that allows developers to create, deploy, and issue tokens, smart contracts, applications, and blockchain systems regardless of their level of experience. The network is building a smart ecosystem for the seamless exchange of values and information that will pave the way for the long-awaited re-evolution of mankind. 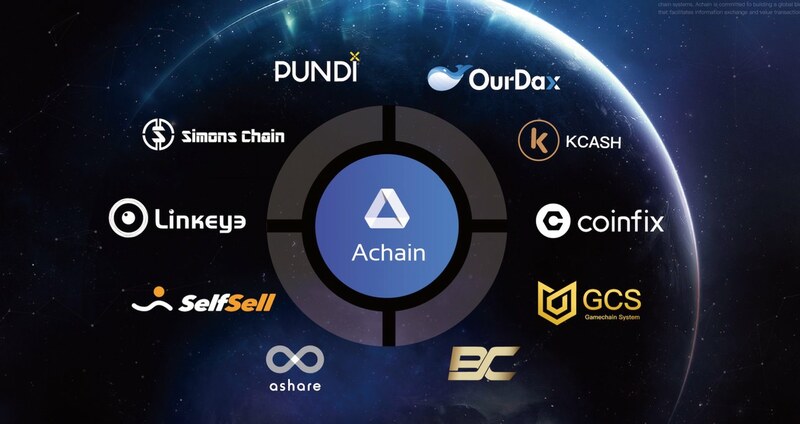 Achain aims to create a decentralized world where anybody from anywhere in the world can directly connect, collaborate, and exchange values through peer-to-peer channels based on social consensus. Developed on its own blockchain, Achain spots a modular and Smart sandbox design, supporting Lua, Java, and C++ for smart contracts creation and distribution. The platform currently supports 1000 TPS, hosts over 30 DApps, and has released 54 smart contracts so far. In the spirit of fostering unity and furthering adoption, Achain is currently distributing a generous amount of its tradeable ACT coin to the crypto community. The airdrop is intended to help the community test drive its current abilities and prepare them for its exciting new features, including its forward-thinking Singularity network, groundbreaking Galaxy fork network, and future-proof Cosmos Interconnected network for cross-blockchain applications. To participate in the distribution, users can join the airdrop here after downloading and generating their wallet address from either the desktop client, or the mobile version of KCash.